Just a quick one this. Let’s lay to rest an inane argument that keeps repeating itself in ignorant comments sections and social media and has done for years. On Friday, Mark Pawsey MP wrote an article on Con Home to say that vaping should be supported by government. As I was reading it, I just knew that someone would react like this … and in fact three did in the comments. A survey in a national Australian newspaper comes out roundly against the continued banning of vaping. But, despite growing opposition at home and large opposition from abroad, Australians still can’t easily access a product considered to be at least 95% safer than smoking – because of the actions of men like Chapman. Anti-ecig campaigner Simon Chapman typifies the people who seek to influence their governments by distorting the truth and adding their own fiction into the mix. Only this time he has been rebuked for his duplicitous actions. E-liquid poisoning is rarely serious and is continuing to decline each year, according to the latest data from the American Association of Poison Centres. The Association collects data from 50 poison centres across the country. In the first 11 months of 2017 there were 2,229 calls for exposure to e-cigarettes and e-liquid compared to 17,154 cases of exposure to hand sanitiser. The rate of exposure is continuing to decline over the last few years. 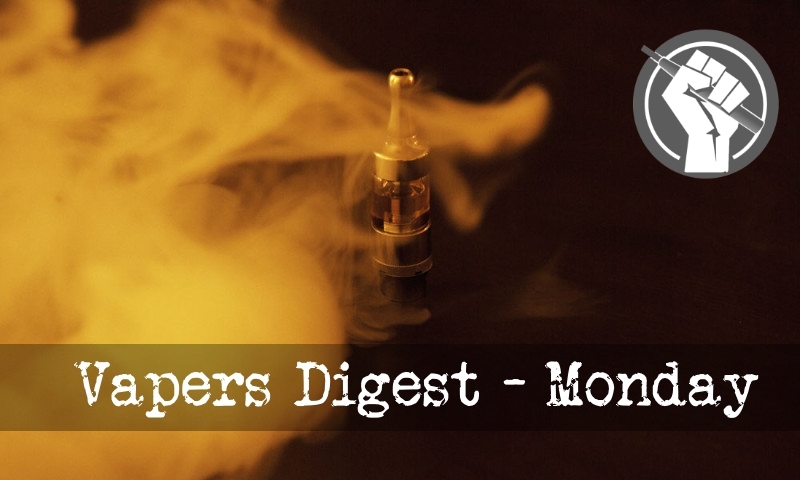 Cancer Research UK (CRUK), along with eleven other health bodies and charities interested in harm reduction, have urged authorities to embrace vaping for smokers who are being treated for mental health conditions. The group has produced a joint statement on electronic cigarettes. The group consist of the CRUK, Royal College of Psychiatrists, ASH UK, Fresh, UKTAS, the Royal College of General Practitioners, Rethink, the University of York, the College of Mental Health Pharmacy, Breath, the Association of Mental Health Providers, and the National Centre for Smoking Cessation and Training. In our discussions with members of the public health community, it became apparent that some areas need more detailed scoping and development before the FSFW issues large-scale requests for proposals in 2018. Mindful that many complementary initiatives are underway, we seek Letters of Intent on this early scoping work from research organizations, academic institutions and other entities with relevant expertise, from organizations based in developed and developing countries..
Major tobacco companies, such as Altria and R.J. Reynolds Tobacco, have unveiled primetime television commercials and full-page ads in over 40 newspapers telling Americans something they already know: Smoking kills. Shortly after the 2016 elections, Gov. Rick Scott promised a tobacco company — which had just given $50,000 to his political committee — that he would directly lobby Vice President Mike Pence on a regulatory issue that could cost the company millions of dollars. Prompted by a Twitter conversation, I am moved to explain why vapers habitually cite Aubergines (eggplant if you’re USAnian) and other solanaceae in the dietary intake of that most addictive of all substances (it’s more addictive than heroin, you know. Uh-huh), Nicotine. An unhealthy interest in e-cigarettes? An organisation that receives funding from three of the biggest tobacco companies in the world is providing support for the UK Parliament’s APPG (all-party parliamentary group) on e-cigarettes. The UKVIA (UK Vaping Industry Association) now provides the secretariat for the APPG, which aims to ‘explore the most appropriate parliamentary and regulatory response to e-cigarettes and to raise education and literacy among policy makers regarding e-cigarettes and related public policy questions’.